In an inauguration ceremony attended by Minister of Defense Jüri Luik at Ämari Air Base on Tuesday, U.S. Chargé d’Affaires Elizabeth Horst remarked how Estonia’s recent acquisition of two American C-145 aircraft illustrated the United States’ enduring commitment to its Baltic partner and NATO ally. “This C-145 aircraft is the latest tangible and visible example of our on-going commitment to NATO and our Estonian allies. 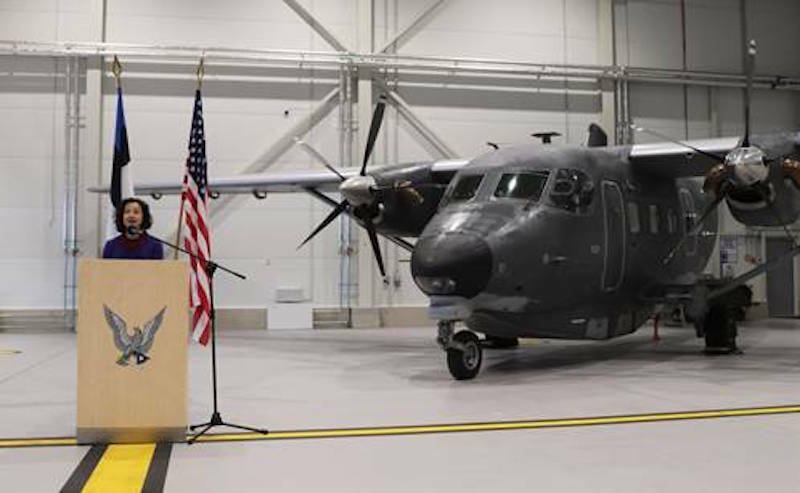 This aircraft will directly contribute to the readiness of the Estonian armed forces as well as its interoperability with U.S. and NATO forces. We are proud to be a part of this endeavor and look forward to seeing how we can continue to work together now and into the future,” Chargé Horst stated. The U.S. has provided more than $100 million in combined security assistance to Estonia over the last several years, and conducts nearly 150 military-to-military engagements per year with over 60 of those taking place with U.S. personnel in Estonia. The second C-145 is scheduled to be delivered to Estonia this summer.